Give children the outdoor space they love! Playing outside is a great way for kids to get some fresh air and exercise and has been proven to contribute to child development. PST Lawns artificial grass is ideal in kids play areas and creates a clean, safe, non-slip and fun place to play. Our synthetic grass is both weatherproof and durable and the big plus is that there won’t be any muddy footprints back into the house. 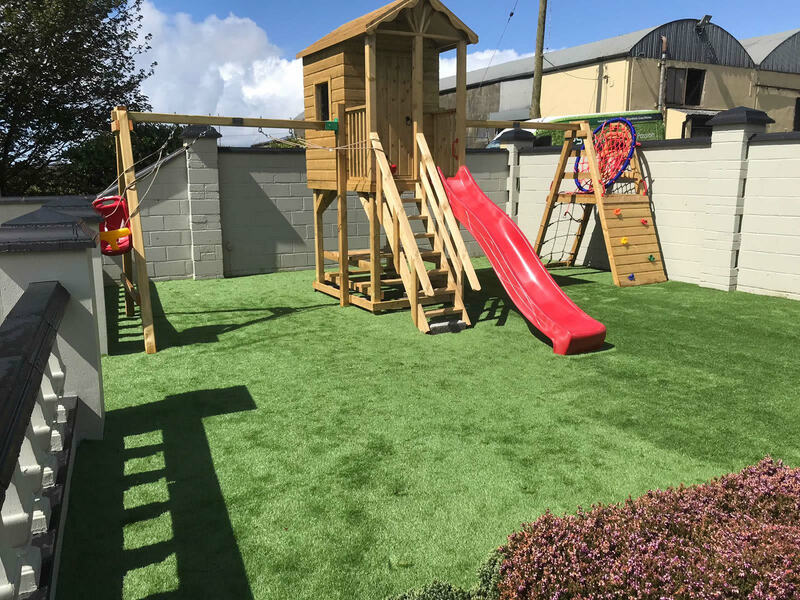 Pictured above: Our 35mm FRESH Cut artificial grass at Ballyseedy Garden Centre’s kids play area in Tralee, County Kerry. Did you know that up to 80% of injuries in kids play areas are as a result of falls? 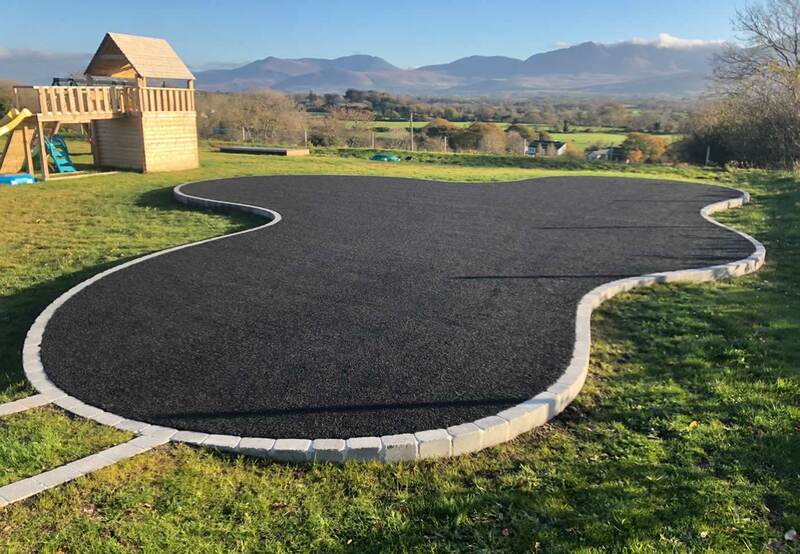 For additional safety PST Lawns can install a Shock Pad underlay system underneath the artificial grass for extra shock absorption. There’s also the added bonus of reduced friction so you’ll have extra peace of mind when the kids are in the playground. For the garden pictured below we installed 40m2 of our EVERgreen artificial grass product and shock pad combination. This young family now has a clean, safe, non-slip garden to play in all year round…rain or shine! 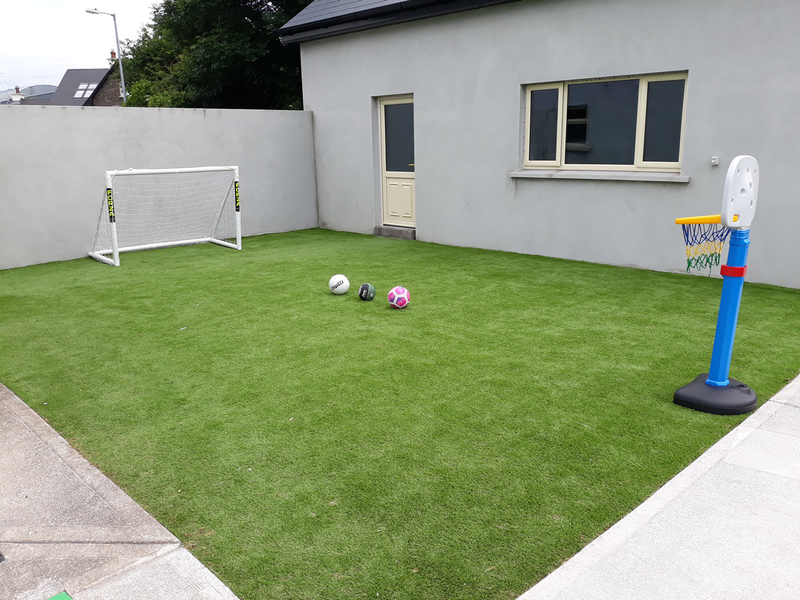 Our TRU Grass artificial grass transformed a section of this large back garden into a child friendly play area. Below, is a garden we installed in County Limerick. 76m2 of EVERgreen artificial grass and shock pad. As mentioned above the shock pad adds an additional cushioning layer and is particularly important where there is kids play equipment. We also supply artificial grass in other colours. 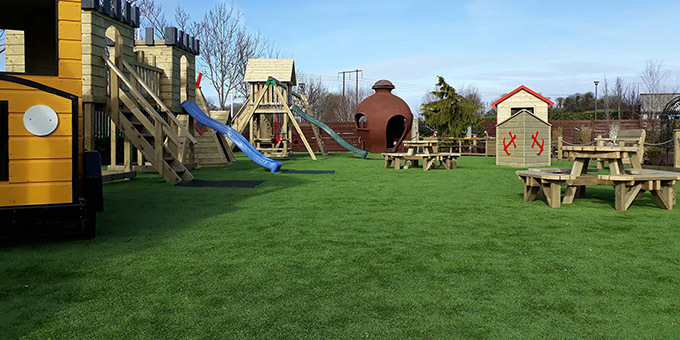 Pictured below is a kids play area using our black artificial grass; soft, clean, safe, usable year-round and easy to maintain. The landscaper wanted to create a fun and interactive play space for the family’s young children.